Turkish government has pursued an aggressive policy to silence its perceived enemies in at least 46 countries across four continents, as part of its post-coup crackdown, a Foreign Affairs article noted Monday. 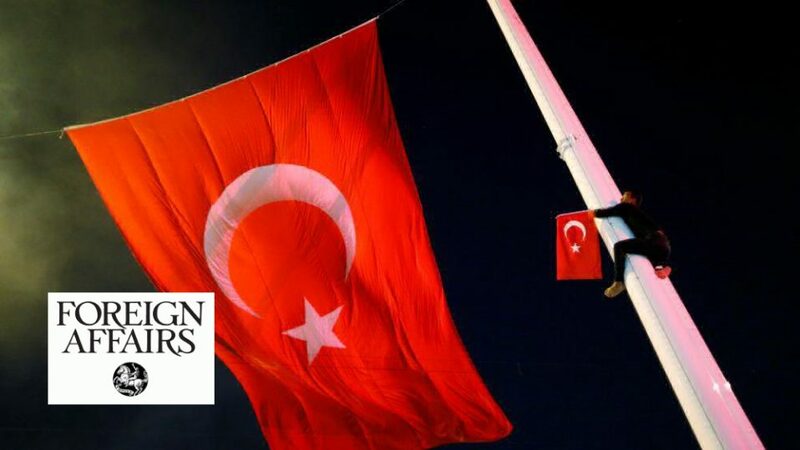 The Turkish government has been hunting its opponents abroad, particularly the supporters of the Gulen movement since before and after the failed putsch on July 15, 2016, the article said adding that government’s alleged enemies were targeted at least in 46 countries. Turkish government accuses the movement of masterminding the 2016 failed coup while the latter denies involvement. More than 150,000 has passed through police custody while over a one-third of those were remanded in prison over Gulen links in Turkey. More than 3,000 schools, dormitories, and universities were shuttered while over 1,000 companies were seized at home. While the article presents an in-depth insight into the chronological relations between the movement and Turkey’s governments in the recent history, it says the President Recep Tayyip Erdogan’s government labeled the group as a terrorist organization before waging an all-out war against it. Also, pro-government commentators, such as Cem Kucuk, have talked casually about how MIT should kill members of the Gulen movement abroad, the magazine reported. “The movement’s schools are under extreme pressure in the global purge,” the article highlighted before detailing the pressure on Gulenists’ overseas facilities: “Since its falling-out with the Gulenist movement in 2013, the government has been pressing other countries to shutter the schools. The Gambia closed its Gulen schools in April 2014. Turkey’s close ally Azerbaijan followed soon thereafter and Tajikistan shut down its Gulen schools in 2015. But elsewhere in the world, these schools largely remained open until the coup attempt of July 2016, after which Turkey increased the pressure. The results were quick. Schools were almost immediately closed in Jordan, Libya, and Somalia. Angola, Ethiopia, Madagascar, Morocco, and Tanzania followed suit in early 2017. Before the year was out, Afghanistan, Chad, Georgia, Mali, Nigeria, Rwanda, Sudan, and Tunisia had all closed or transferred schools. Not only the supporters of the movement have been targeted, the article said, adding that all alleged government enemies within and outside Turkey were affected.